Dungarees have always had a place in my heart. Despise not being the most feminine item of clothing I own, but who cares as it's not like I ever dress to impress anyone anyway.These dungarees were only £16 from the Topshop sale and they were destined to be mine since they were a petite size 8. 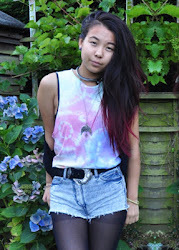 I actually have another pair of dungarees too, featured in this post, but they are far too small now to wear - I'm thinking of opening a bigcartel shop or something to get rid of some of my old clothes and earn some money since getting a job is completely out of the option now as I am so ridiculously busy. Another thing is that I am actually getting so bored of my hair now since it is getting so long now - the ombre used to start at my chin! Should I get it or leave it long? Can you guys do a huge favour for me? It would be awesome if you could go like my Young Enterprise Facebook group. Even though we cannot trade through the internet (I know so lame) but having the likes really does help us towards this competition for YE where number of likes is one of the criteria. Thank you! Also thank you so much for checking and reading my blog - I've hit 200 followers now yipee! 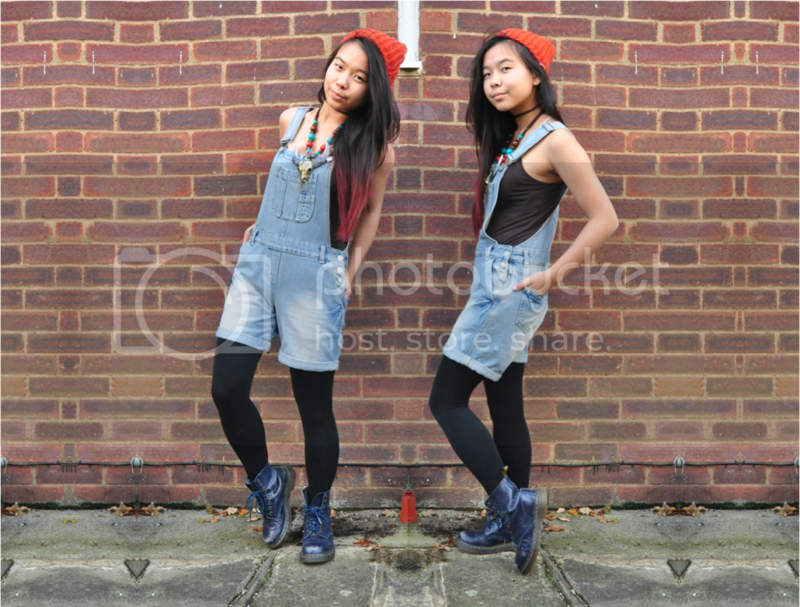 Also a huge thanks to the Boots Treat Street blog for featuring one of my outfits! 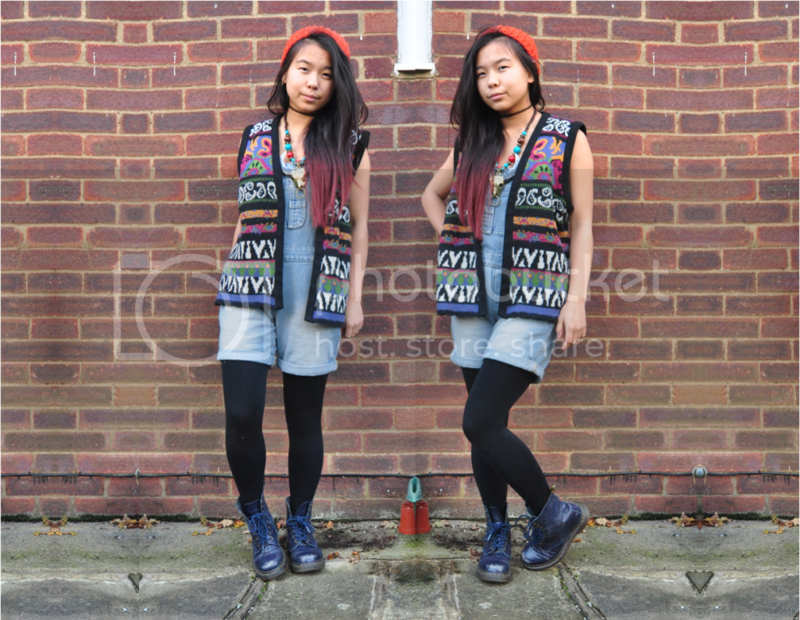 Love the way you style Doc Martens, thanks for the lovely comment on my post! great look. the beanie suits you ver well. love the shoes! loved how you paired em w/the awesome waistcoat. everytime I am here I like you even more. cool look, the dungarees look so good on you. Loving your 90s vibe. Such a cute outfit loving it with the gilet as well. I love a good pair of man repelling overalls ;) Diggin' the necklace as well. You have amazing style, I'm your new follower!